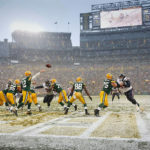 Not Every Day Can Be Your Day – Green Bay Sports Photographer. As a sports photographer some days it seems like everything happens right in front of you. Sunday was the opposite of that for me. The Packers scored three touchdowns on Sunday, October 16, 2011 at Lambeau Field in their NFL football games against the St. Louis Rams and I was on the opposite end of the field for all three. Even when Clay Matthews did his muscle man / growling animal celebration after his first real quarterback sack of the season he did it with 21 guys between he and I. I was very happy the Packers won 24-3 and I was happy with some of the non action shots I got, but I was disappointed in the action shots I got. I’ll get em next game. A fan plays catch in front of Lambeau Field before the Green Bay Packers St. Louis Rams NFL football game. 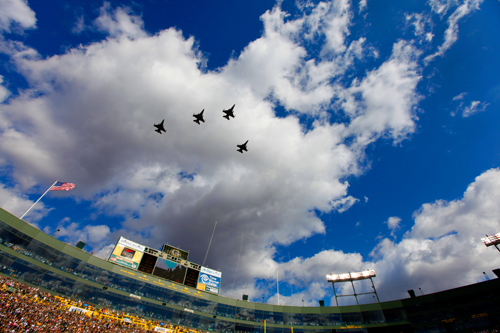 Air Force F-16s from Madison, Wisconsin's 115 Fighter Wing perform a flyover. 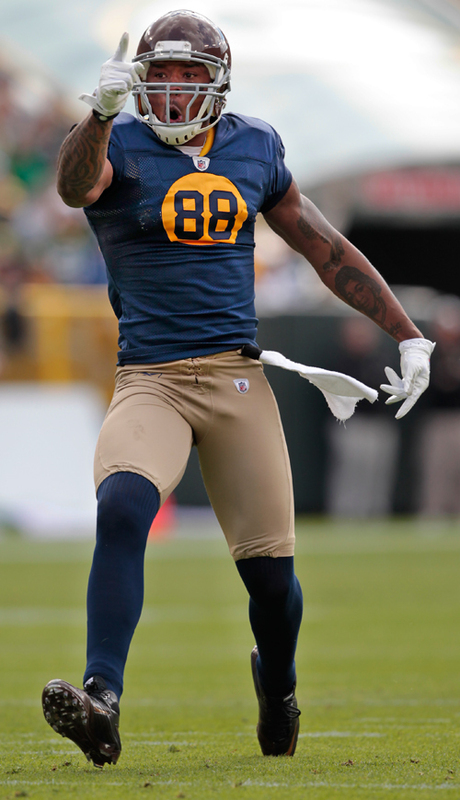 Green Bay Packers tight end Jermichael Finley celebrates a first down catch. St. Louis Rams kicker Josh Brown misses a 47 yard field goal. 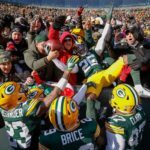 Green Bay Packers James Jones celebrates a touchdown catch with a Lambeau Leap. Green Bay Packers kicker Mason Crosby. 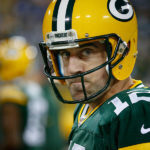 Green Bay Packers quarterback Aaron Rodgers looks for a receiver. 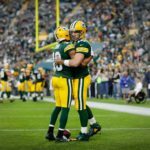 Green Bay Packers quarterback Aaron Rodgers celebrates a touchdown pass with wide receiver Donald Driver. Green Bay Packers cornerback Sam Shields pulls in an interception in front of St. Louis Rams wide receiver Danario Alexander. Half right. The Brewers went down to the Cardinals later in the day. Green Bay Packers inside linebacker A.J. Hawk tries to stop St. Louis Rams running back Steven Jackson. 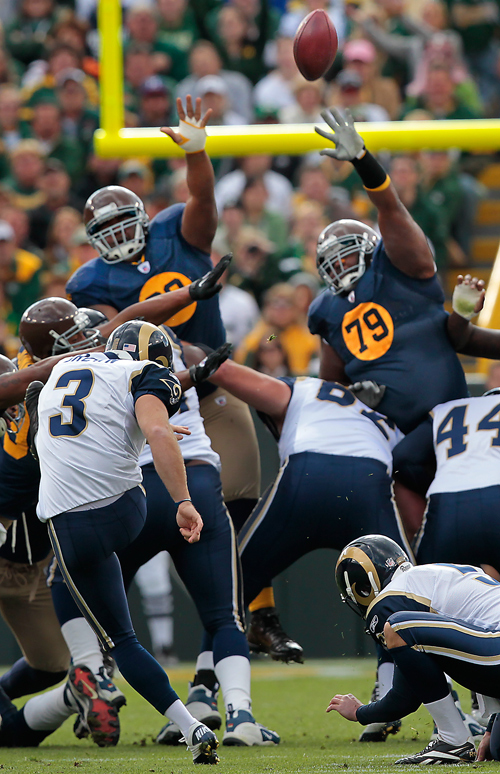 Green Bay Packers outside linebacker Clay Matthews sacks St. Louis Rams quarterback Sam Bradford. Green Bay Packers cornerback Charles Woodson high fives fans as he walks off of Lambeau Field after the Packers defeated the Rams 24-3 to go 6-0 on the season. 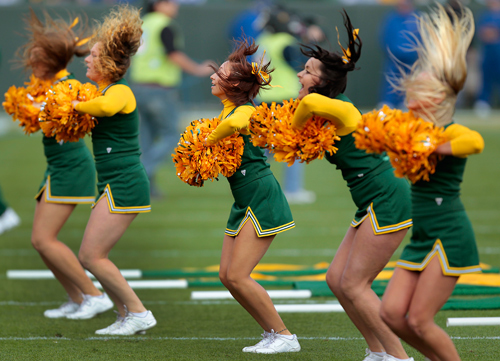 « Admissions Marketing Photography for St. Norbert College.